Mui Ne Jeep Tour. Sand Dunes Mui Ne Day Tour picking up from Ho Chi Minh city and Saigon airport. 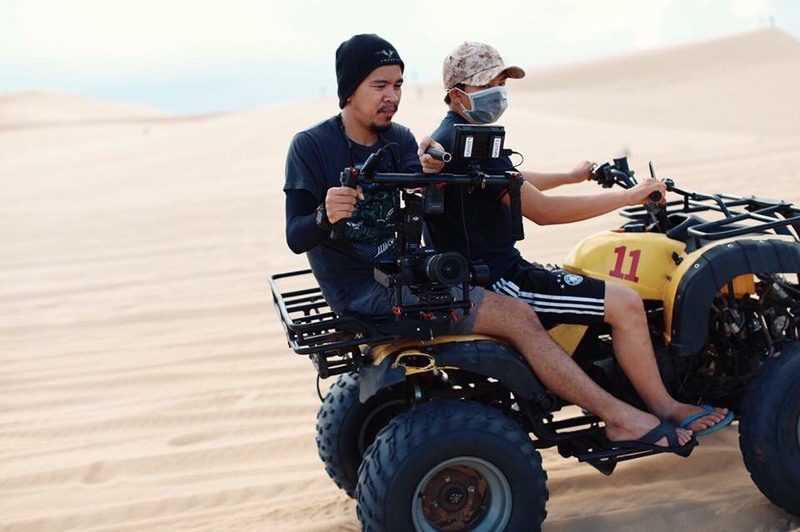 Mui Ne sunrise and sunset sand dunes tour is a good opportunity for sand sliding to get the rest and away from hustling city. 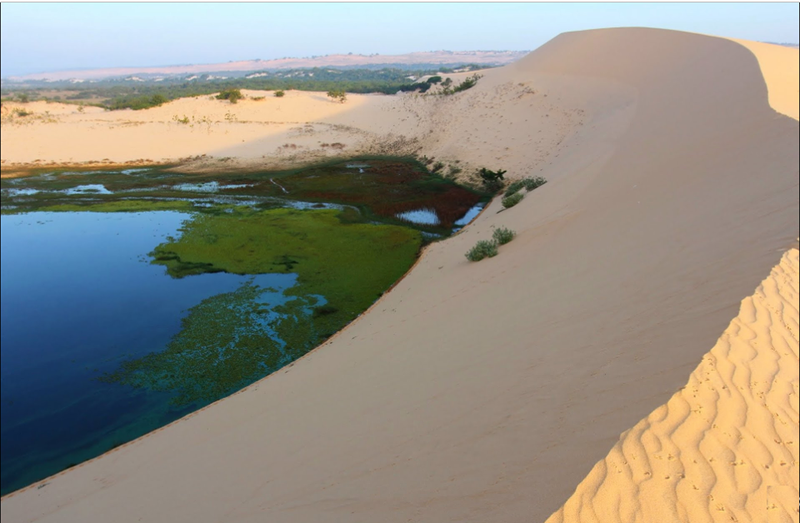 You can experience a sightseeing adventure filled with local daily life from Fishing village, White sand dunes (Lotus lake), Red sand dunes and Fairy spring through a Safari Jeep Tour Mui Ne. 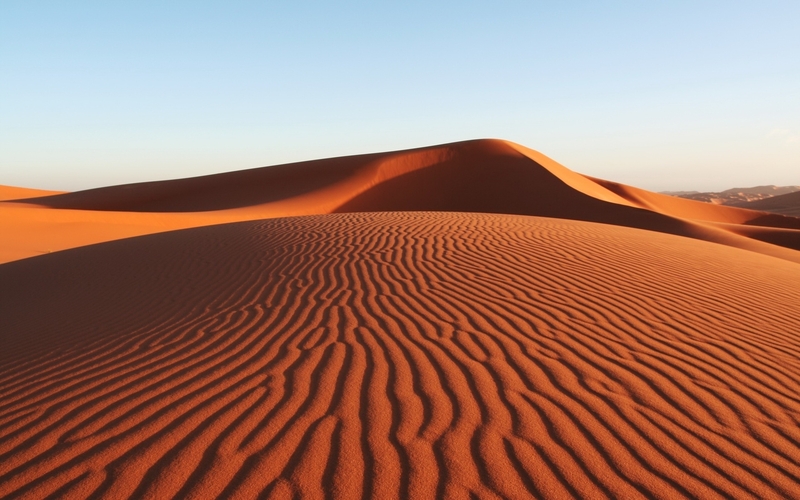 The tour is great and such good value, a chance to ride an ostridge beside Fairy spring, Quad Bike rental and Sand board on the white and red sand dunes. There is a small extra fee for riding the Ostridge and hiring sand boards. 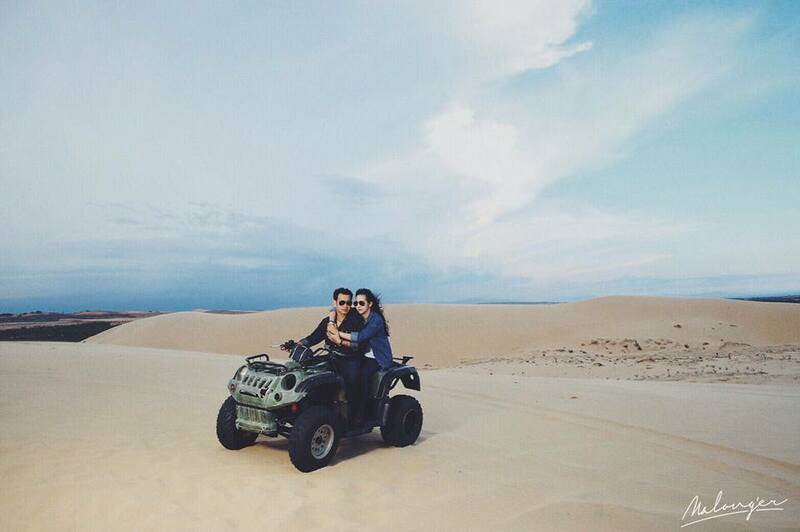 Quad Biking was an added $25 for 30 minutes but it was definitely worth it, cruising up and down the sand dunes. From 1 - 6 pax: US$ 155 / whole trip for the group of 6 people. From 7 - 10 pax: US$ 195 / whole trip for the group of 10 people. Both ways transport by private vehicle (air conditioned), pick up from Saigon airport / hotel to Mui Ne and drop off Saigon hotel / TSN airport. All tolls, highway fees, gasoline, driver expense. 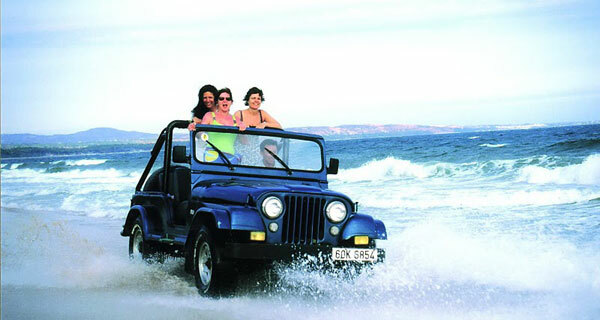 Half day tour by private jeep. Sightseeing tickets, cool towels and miniral water. Departing time: at your customize request. 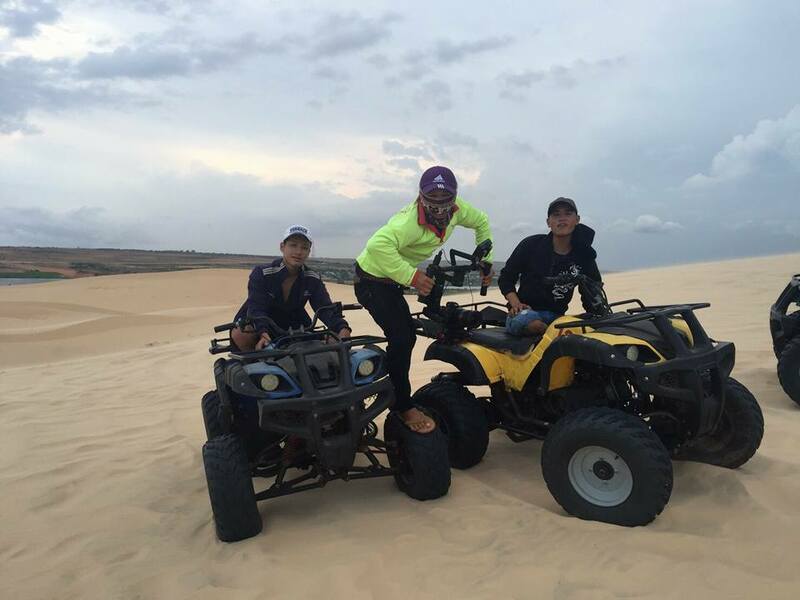 If HCM city pick up time in the evening will go for sunrise sand dunes tour and pick up time in the morning for sunset sand dunes tour. Private jeep going for the sunrise tour departing time at 4:30am or the sunset tour choosing departing time at 1:30pm and can be later than to 2:30pm. 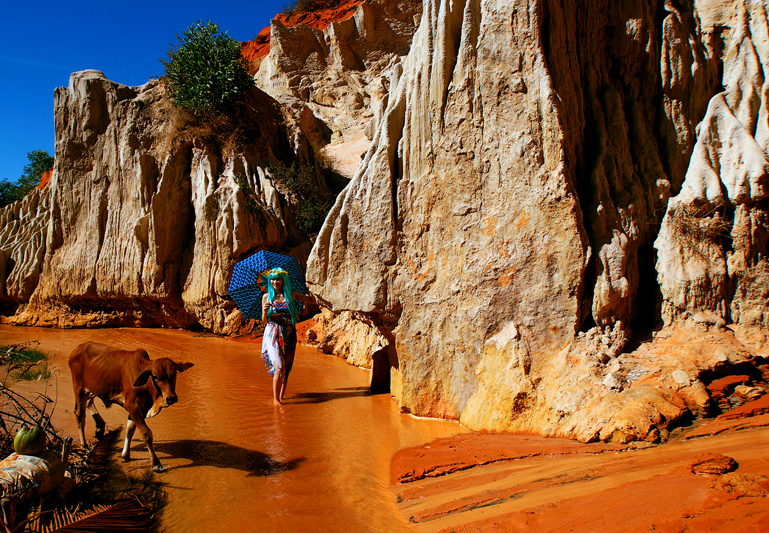 Mui Ne jeep tour (included) by visiting a Fairy Spring, Fishing Village, White sand dunes and Yellow sand dunes which are top attractions in Mui Ne. A small stand of pine trees sitting on the bank of the white lake (Bàu Trắng) overlooking the sand dunes makes a popular spot for photo-snapping. After finish sand dunes tour by jeep, the air conditioned car will transfer back to Ho Chi Minh City. The trip ends at your hotel or at the airport in Ho Chi Minh City. 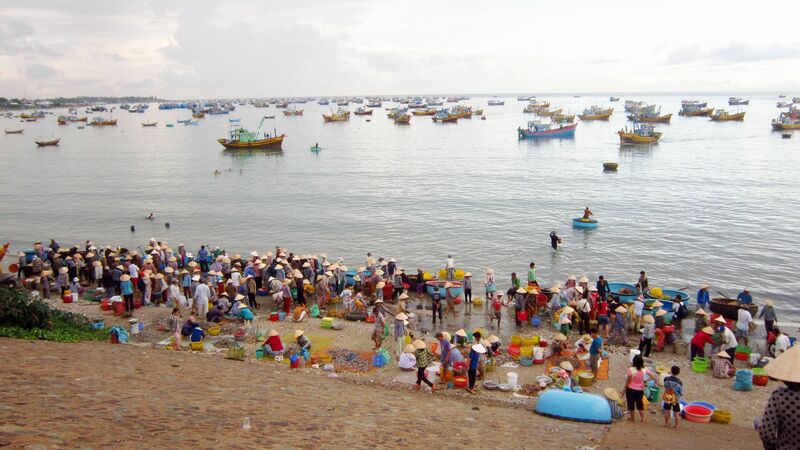 You can also have free time in Mui Ne for walking and shopping along Nguyen Dinh Chieu street or swimming on the beach, we will have appointment time for picking up from Mui Ne to HCMC.